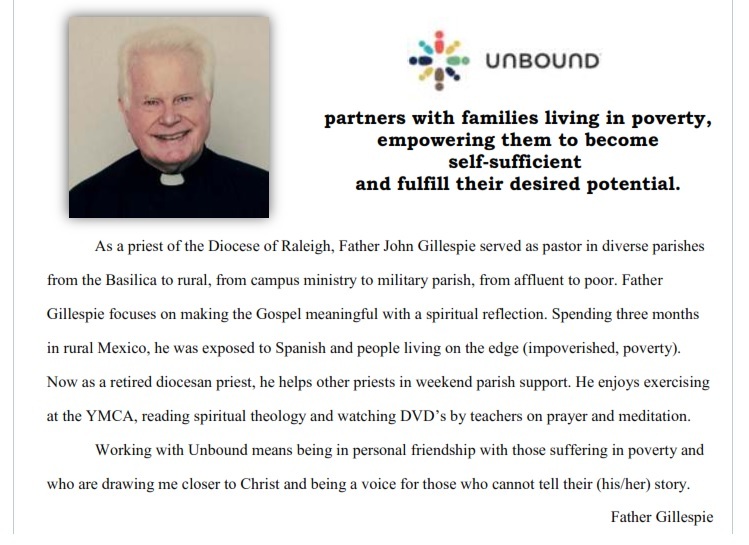 Unbound partners families living in poverty, empowering them to become self-sufficient and fulfill their desired potential. Saints Peter and Paul Catholic Church, made up of Fluvanna County and neighboring communities, aware of our rich Roman Catholic tradition and our own particular parish needs, we dedicate ourselves to praising God through liturgy and prayer. In the spirit of Saint Peter and Saint Paul, the great Apostles and missionaries, we commit ourselves through Education and Social Service ministries, to building a Christian Community in which the Gospel of Jesus Christ might be exemplified and fulfilled. 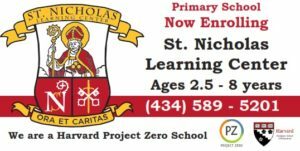 New to Saints Peter and Paul? We are delighted to have you join our parish family! We hope that you are finding love, hospitality, and a sense of community here. Please stop by our Welcome Newcomers table after Mass to pick up our Welcome Packet.